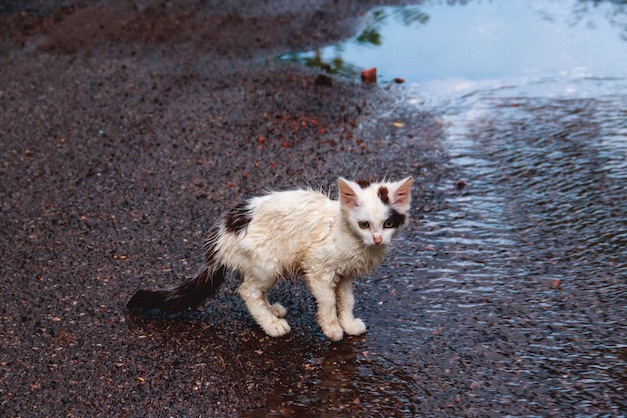 Who will help save cats like this? — A lack of volunteers specifically for cats imperils the Fayette Humane Society’s homeless cat programs, and town hall meetings are planned to help the at-risk programs. Photo/Shutterstock. Two town hall meetings, one in Peachtree City and one in Fayetteville, are planned next week to discuss the future of the Fayette Humane Society’s cat program, which are at risk of shutting down, according to Marcia Hendershot, board member of the organization. If you are 14 years or older, you are invited to attend these meetings to learn about ways you can help. The Peachtree City meeting will be held on Thursday, Feb. 7, at the library, 201 Willowbend Rd., from 5 to 7:30 p.m. A Saturday morning meeting will be held from 9 a.m. to noon at Inman United Methodist Church, 151 Hills Bridge Rd., Fayetteville. The Humane Society needs dozens of volunteers to help manage the cat program, according to Marcia Hendershot, a board member of the Fayette Humane Society. Specifically, help is needed managing feral colonies, fostering cats and kittens, delivering food and litter, maintaining records, transporting cats, managing the cat care room, posting on social media, answering the cat hotline and more. Many of the tasks the society needs help with can be done at your own home, according to a flyer about the meetings. Training on how to trap cats will be offered at the end of the town hall meetings for those who have time to participate. For more information, call 404-547-9400 or 703-975-5988.